Scotland's Statistical Accounts present an unrivalled source of a country's health at the end of the Eighteenth Century. For the first time, both Accounts are brought together, parish by parish, and split into manageable volumes convenient for the family historian who seeks the contemporary background for their Scottish ancestors. 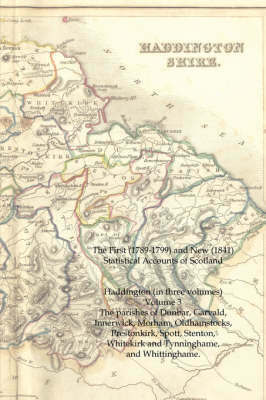 The Haddingtonshire (East Lothian) volumes are divided on geographical lines from West to East.